Want to know how to do, well… just about anything? Ask google. 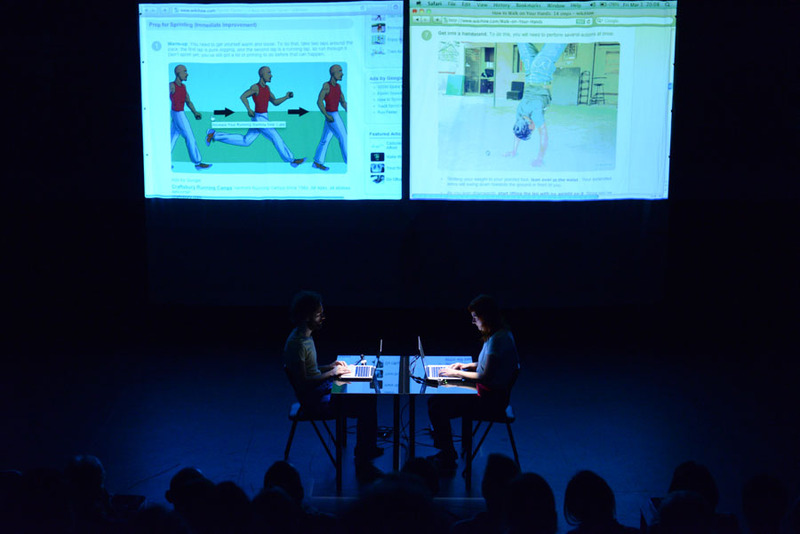 In Step by Step, Andrés Galeano and Ieke Trinks spontaneously create a performance score in front of a live audience using seemingly random pieces of instructional information researched on the internet. 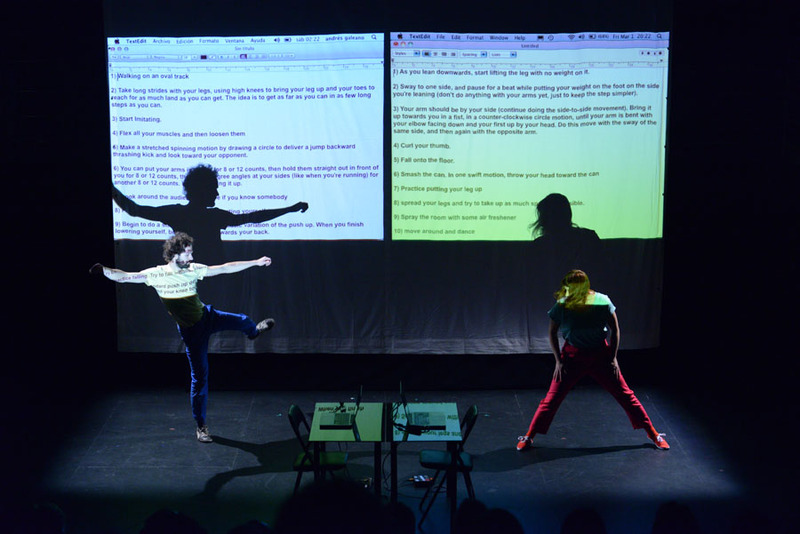 Using the cut and paste function of their computers, instruction texts and how-to explanations are sorted and compiled into a dance choreography created for, and then performed by two non-dancers. 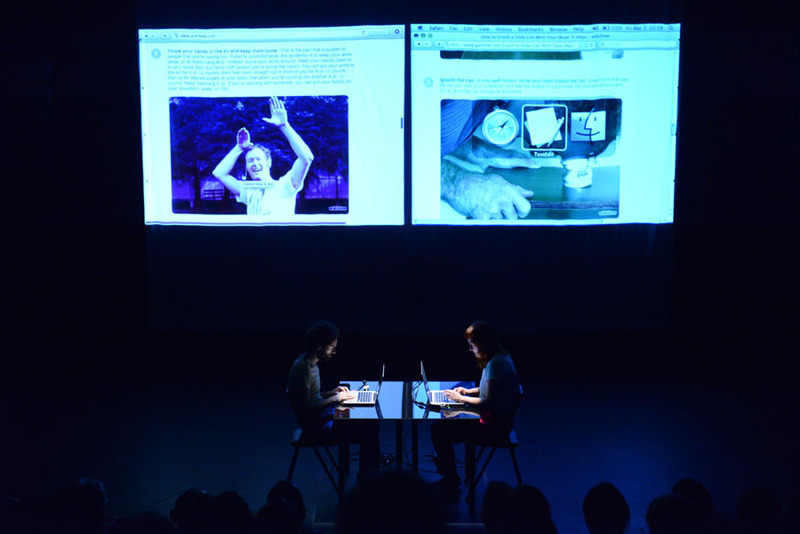 The result is an unsettling and funny live performance that oscillates between conceptual demonstration and structured chaos. 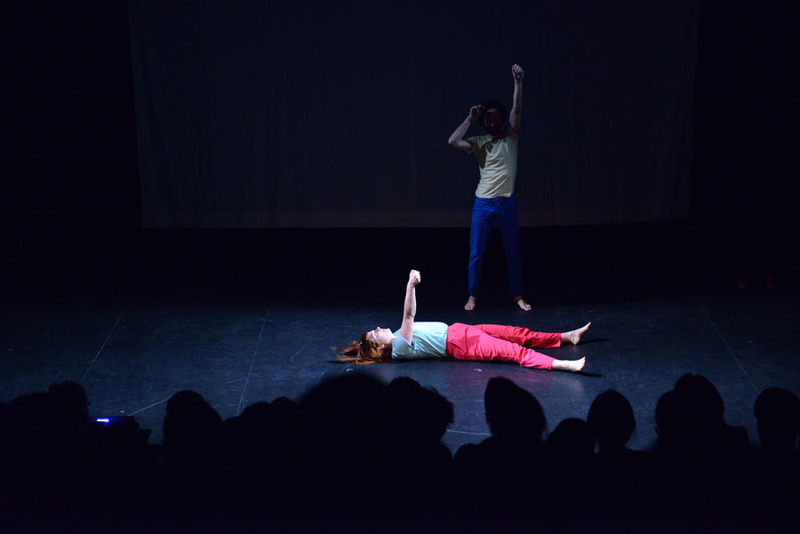 Step by Step shows every time a new choreography created in front of the audience.